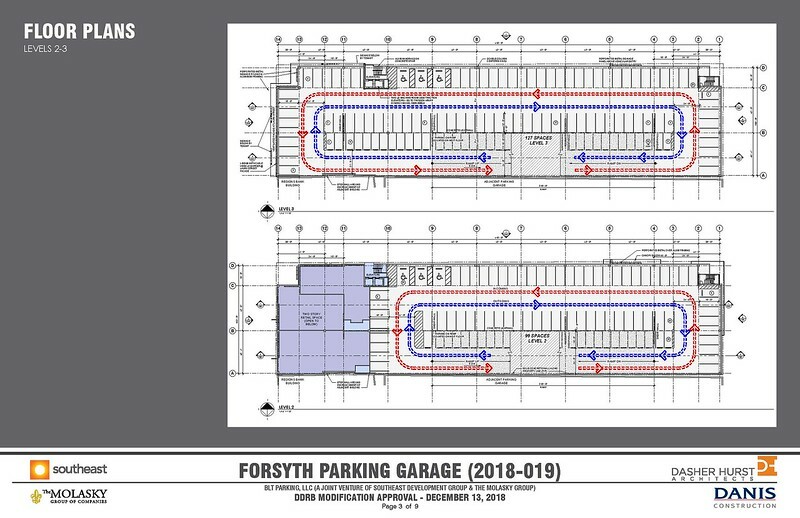 With the reconstruction of the Barnett well underway, the time has come for an associated parking garage to replace a long standing surface parking lot in the heart of the city. 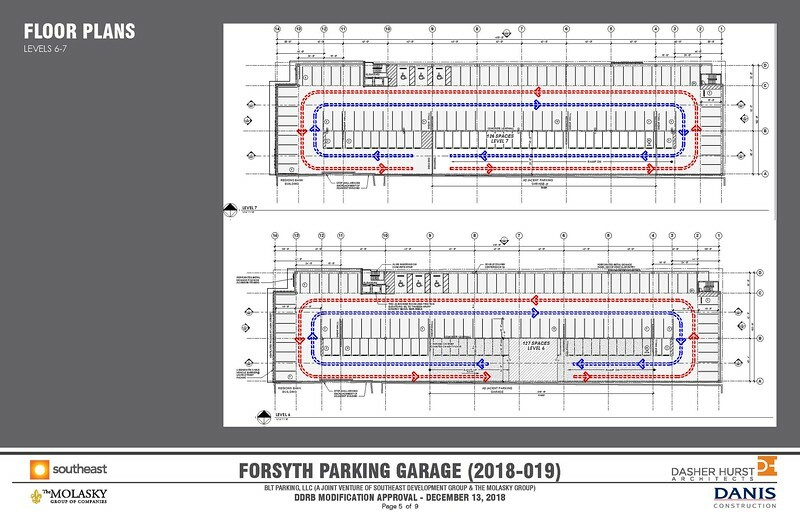 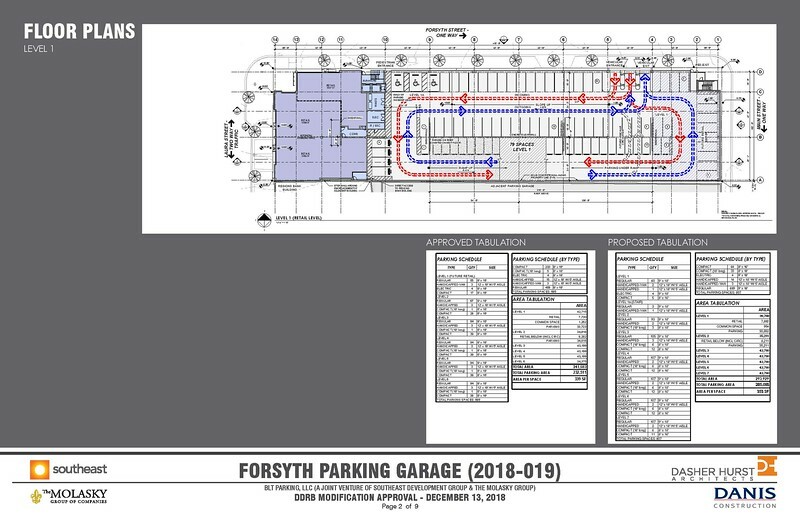 Located on the south side of West Forsyth Street between Main and Laura streets, the Forysth and Main Parking Garage will provide parking for the nearby Barnett and Laura Street Trio projects, and the general public. 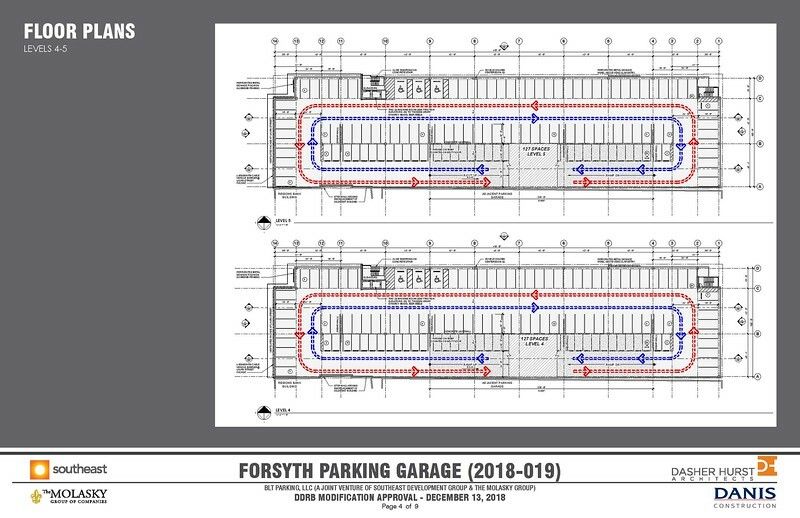 Initially approved in early 2018, the original plan called for a six-story parking deck project for 685 vehicles. 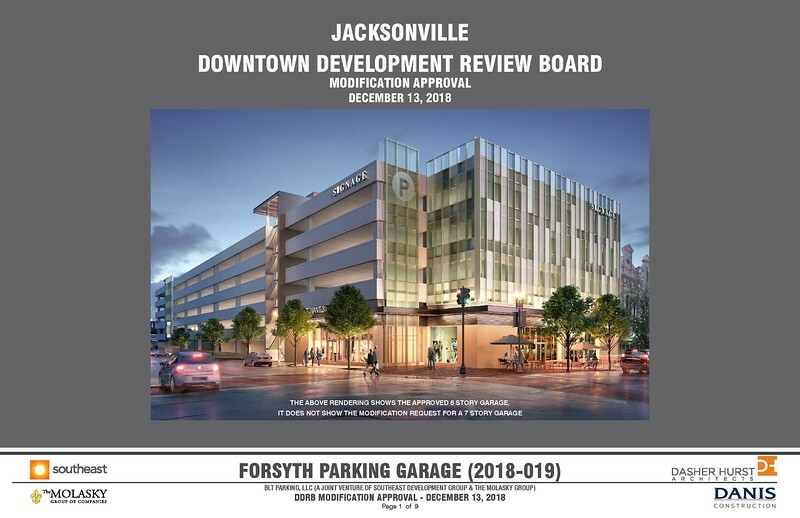 Since that time, Jacksonville-based VyStar Credit Union announced its intentions to buy the nearby SunTrust Tower and move as many as 900 employees into downtown. 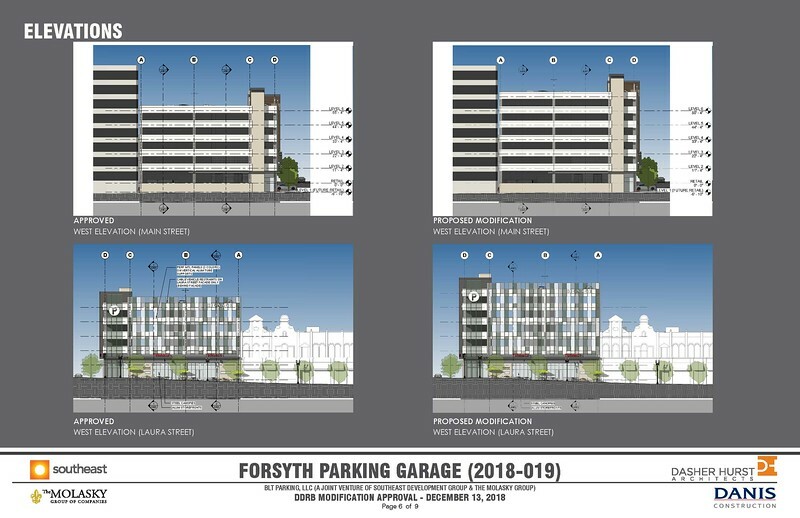 This week, DasherHurst Architects is requesting Downtown Development Review Board (DDRB) final review for modification to add additional height to the overall structure. 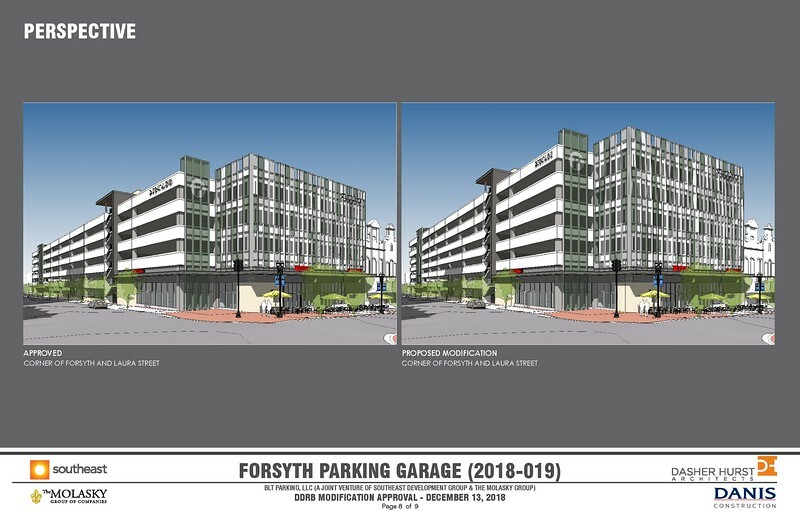 The latest plan is for a seven-story parking deck project for 807 vehicles. 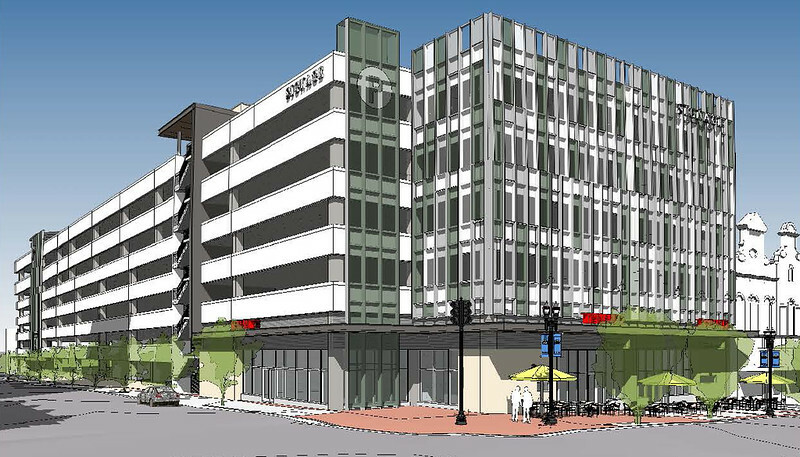 In addition, the project includes 7,882-square-feet of street level retail space along Laura Street. 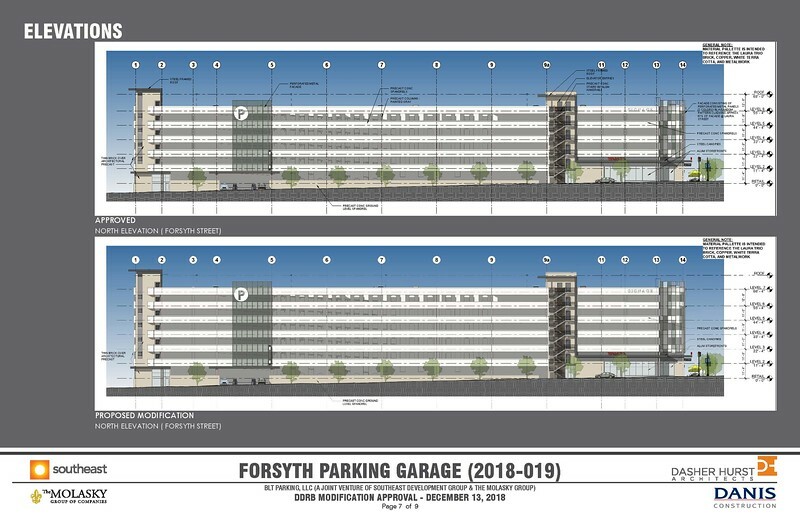 Designed by Dasher Hurst Architects, the project will be built by Danis Construction. 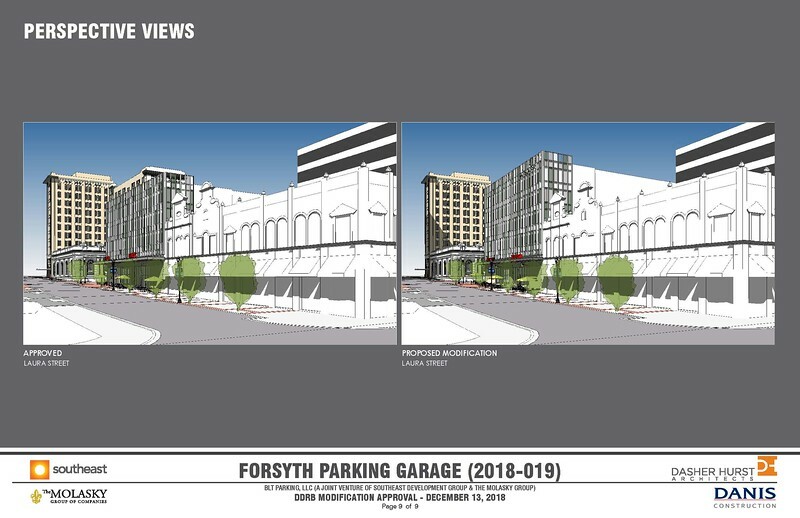 Here’s a look at the latest plans for the joint venture of Southeast Development Group and The Molasky Group.